Frank M. Clark was appointed President of the Chicago Board of Education by Mayor Rahm Emanuel and began serving on July 23, 2015. Mr. Clark is the retired Chairman and CEO of ComEd. Mr. Clark is heavily involved in the Chicago community, serving on the board of trustees of the Chicago Symphony Orchestra, DePaul University, the Museum of Science and Industry, and the board of directors of the Big Shoulders Fund. Mr. Clark is Chairman of the Executive Committee of The Chicago Community Trust, trustee of The Lincoln Academy of Illinois, and a member of the RAND Advisory Board. Mr. Clark also serves as President of the Business Leadership Council and is a Life Trustee and past Board Chair of the Adler Planetarium and Astronomy Museum, past Chairman of the Board of Metropolitan Family Services, past Chairman of the Board of Jane Addams Hull House, and past President of the Chicago Chapter of American Association of Blacks in Energy. Mr. Clark is also a member of the Chicago Bar Association, the Commercial Club of Chicago and Executives Club of Chicago. Mr. Clark is a co-founder of the Rowe-Clark Math & Science Academy on Chicago’s west side. Mr. Clark is Chairman of the Board of Directors for BMO Financial Corporation. 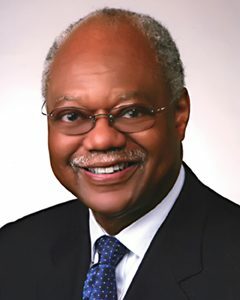 He also serves on the board of directors for Aetna Inc. and Waste Management Inc.
Mr. Clark received an honorary Doctor of Humane Letters degree from Governor’s State University and an honorary Doctor of Law degree from DePaul University. He also has received numerous awards, including the prestigious History Makers Award and the National Humanitarian Award from the National Conference for Community and Justice. In addition, U.S. Black Engineer & Information Technology Magazine named Mr. Clark to its annual list of the 100 Most Important Blacks in Technology in 2008. Mr. Clark was also ranked among the 50 Most Powerful Black Executives in America by Fortune magazine in 2002. Mr. Clark holds Bachelor’s and Juris Doctor Degrees from DePaul University.